We have already seen players such as Kevin-Prince Boateng, Adriano and Robert Lewandowski wearing the boot, and a few days ago Nike have finally released the new colour for the Hypervenom. The colours are Hyper Blue, Volt and Black, and provides yet another strong option if you are among the Hypervenom crowd. 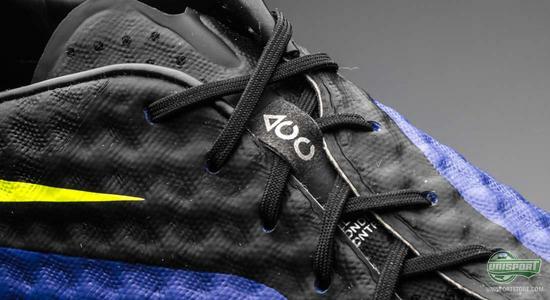 We have taken a closer look at the latest colourway right here, so come along. December was rather hectic  and we're not done yet. Nike have put out yet another colour update for the Hypervenom Phantom, which is now available in a Hyper Blue, Volt and Black colurway, and present an excellent alternative to the Green/Black model from the Energy Pack and the White/Black from the Flash Pack. The Hypervenom is one of Nike's most technologically advanced football boots, and got launched with a huge media following last summer. The concept behind the boot is simple, yet convincing; the Hypervenom is designed to make the player faster when on the ball. Okay then, that all sounds very good  but how does it actually work? 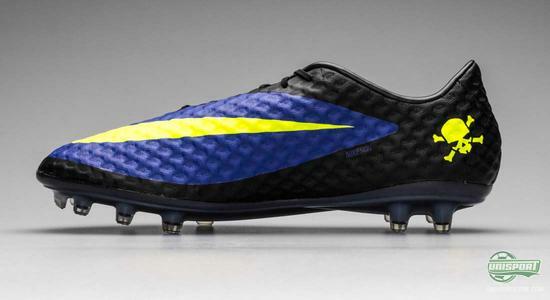 Is the new Hypervenom Hyper Blue, Volt and Black to your liking? 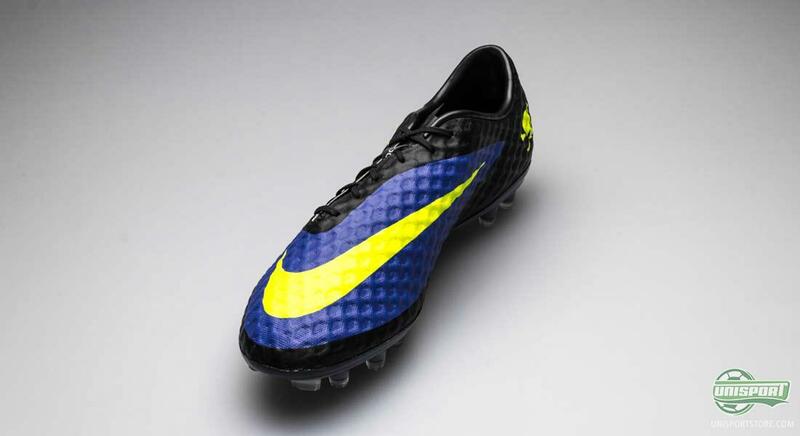 Then get your own pair right here just 209. 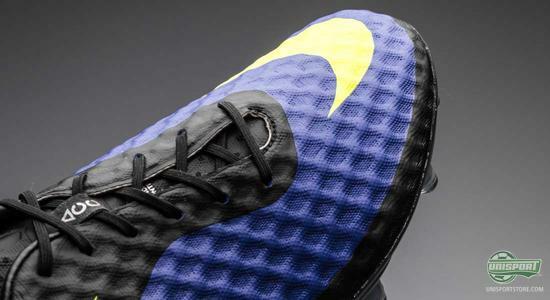 The Nike Hypervenom Phantom is designed with focus on fit, touch and traction. 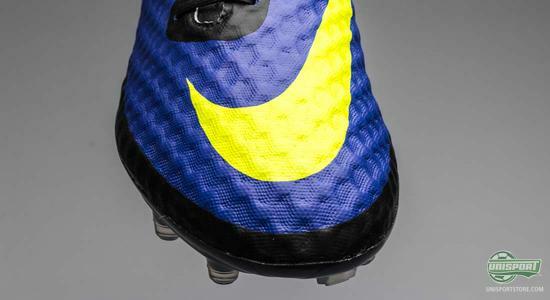 As most know, the Hypervenom took over from the iconic T90-collection, which was especially famous for its wide fit and this is something Nike wanted to transfer to their new boot. In order to obtain the results wanted, Nike developed the X1, their most anatomically correct last, which is made to fit more types of feet and sizes, and combined with the upper, most people should be able to feel a great fit. 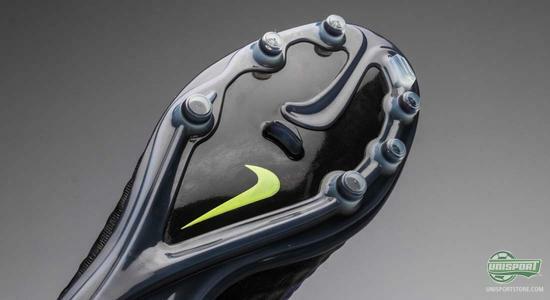 To put new focus on a better ball feel, Nike developed a new upper material, called NikeSKIN. The thought behind, is that it shapes itself according to your foot and delivers a snug fit that resembles the feeling of playing barefoot. 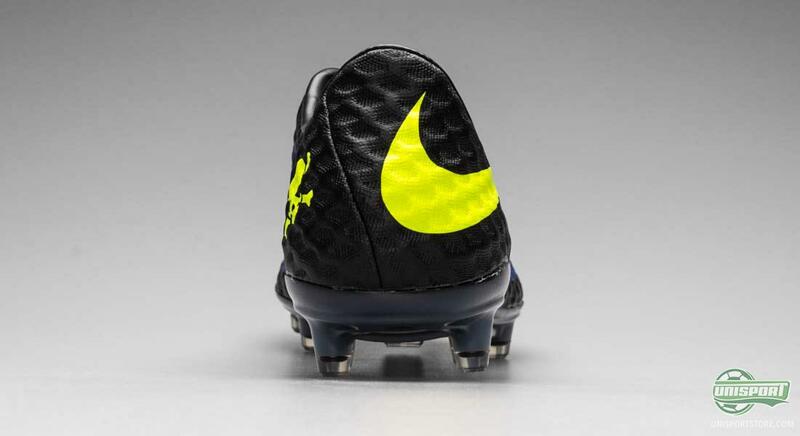 In addition, the NikeSKIN also has a very distinct dimply design, which serves to create friction between boot and ball in order to improve the ball control and feel. Naturally, the boot is also equipped with the ACC technology that ensures the same grip in wet, as well as dry weather conditions. 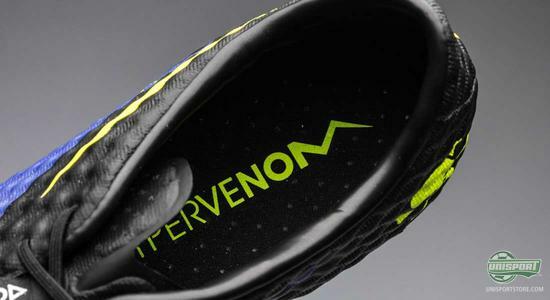 Another significant factor is grip  and here the Hypervenom truly does the business. It has been designed with agility in mind. 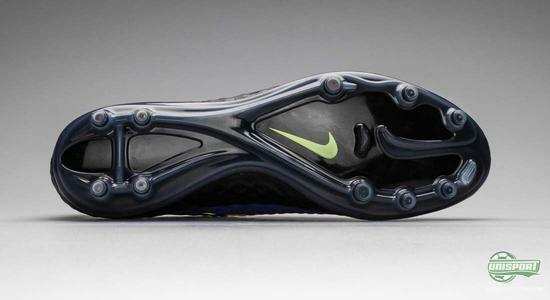 Something the Nike want to emphasise, among other things, via a newly designed outsole. The outsole is made with a split design where the big toe is split from the rest of the sole, as you use it to navigate and your kick-off, which gives you improved moveability when kicking off, and doing the unexpected direction changes. In order to facilitate the quick twists and turns, the studs on the Hypervenom are rounded and relatively small. Hereby, the studs will penetrate the ground faster, and also leave the ground faster. Moreover, the rounded studs has the advantage of making directions changes and turns easier when the studs grip the ground, something that is not possible with blades. 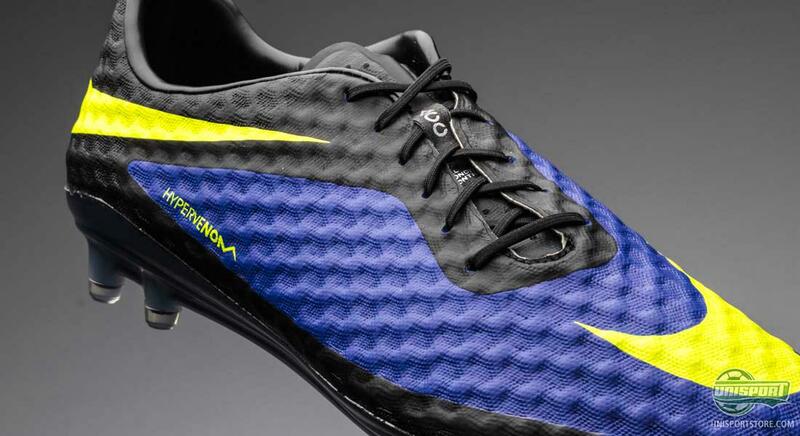 The new colourway for the Hypervenom is already out and about on the pitches, and was already debuted back in December by Robert Lewandowski, and Kevin-Prince Boateng, as well as Barca's Adriano where among the first to wear it, and the Hyper Blue and Volt nuances are looking sharp, especially with the Dortmund- and Schalke kits. 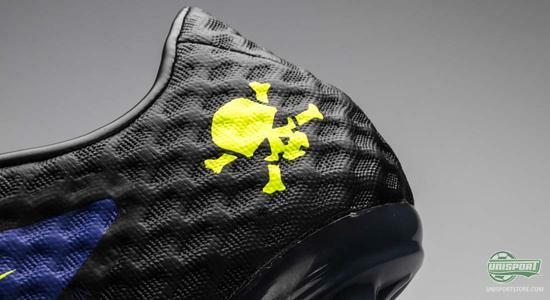 What do you think of the new colourway for the Hypervenom  and which of the three current colours is your favourite? 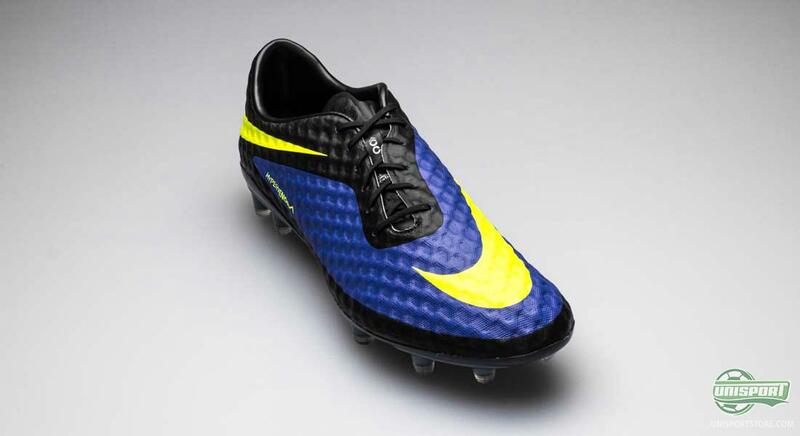 Flash Pack, Energy Pack or the new Hyper Blue, Volt and Black Hypervenom Phantom? Feel free to share your thoughts in the box below, or Facebook and Twitter.